The Instapizza in Good Earth City Centre is an awesome place to drop by for one of the best New York Style thin crusts and fresh toppings. 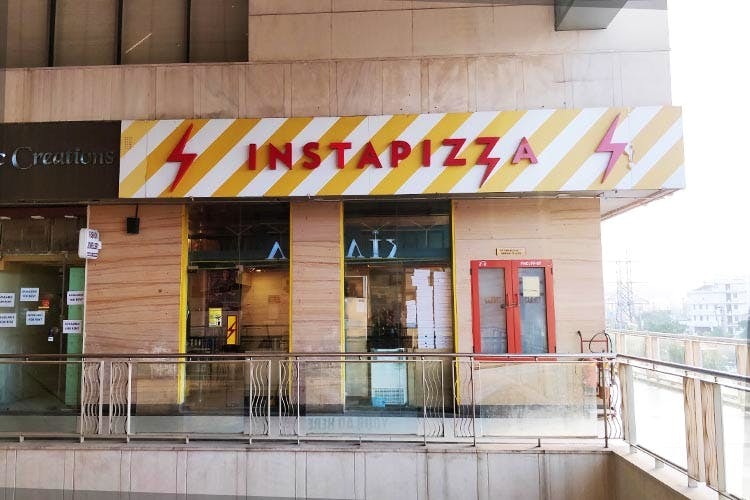 A two-storey restaurant (one for making orders and one for seating), Instapizza's a fab place for handcrafted pizzas with the freshest ingredients, generous portions, a meat-friendly menu and unlimited toppings for no extra charge. The décor is minimal, with industrial motifs, and the space is abundantly lit. We ordered (and loved) the Garlic Twists, the Veggie Deluxe, the Monster Deep Dish—and some Coke to wash it all down. The Garlic Twists—you can have them plain, with garlic butter and mozzarella cheese, or like we did, stuffed with either meat or veggies (we had ours with pepperoni, sundried tomatoes and onions, and they were absolutely delicious.). The Monster Deep Dish is a meal for two in itself—a really sumptuous, savoury pie. This may be one of their larger outlets, but seating space is actually limited (but that's no biggie since they also deliver). Don't miss the cookies—they're killer!